ADA Compliant - Meets ADA/ANSI A117.1 requirements, ensuring accessibility to all disabled persons. Cal Green Compliant - Rated to meet or exceed CALGreen criteria, which helps to conserve water in the average home by at least 20 percent. WaterSense Certified - Meets or exceeds EPA WaterSense Standards, which reduces water consumption by 30% and helps average households save up to $200 in their annual water bill. 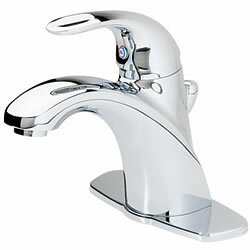 NSF Lead Free Certified - Compliant with California and Vermont drinking water legislations. Meets NSF 61/9 Annex G Lead Requirements.